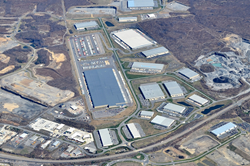 Wilkes-Barre developer Robert Mericle imagined a thriving business park when everyone else saw an environmental wasteland. His CenterPoint Commerce & Trade Park near Pittston, Pennsylvania proves that it is indeed possible to turn lemons into lemonade. I believe in this area and its people. Northeastern Pennsylvania is poised to be one of the leading business locations along the East Coast. I think it is imperative that we have a wide variety of commercial real estate available at all times. For decades, drivers using I-81 and I-476 near Pittston, Pennsylvania gazed at acre after acre of barren land, but never truly saw it. However, when Wilkes-Barre developer Robert Mericle saw the land, he envisioned a much different future. He saw a thriving business park with dozens of world-class companies and thousands of jobs. He saw CenterPoint Commerce & Trade Park. Beginning in 2005, Robert Mericle and his company, Mericle Construction Inc., began reclaiming the environmentally damaged 1,800 acres and has since transformed it into arguably the fastest growing business park in Pennsylvania. Mericle’s CenterPoint Commerce & Trade Park is already home to 23 industrial, office, and flex buildings totaling 6 million square feet. There are 39 tenants in those buildings that together employ 4,500 workers. The occupancy rate is more than 98%. Park tenants include some of the world’s elite companies such as Home Depot, Lowe’s, FedEx Ground, Corning, Kimberly Clark, Neiman Marcus, and Men’s Wearhouse. Many would say that Robert Mericle’s decision to develop such mind-scarred land was inherently risky. However, the strategy he used to guide the park’s steady growth through the U.S. recession was nothing short of remarkable. Mericle has built all but a few of the park’ buildings on speculation, meaning he had no tenants in hand when construction started. Between 2008 and 2013, the recession years, most U.S. developers ceased constructing buildings on speculation. Not Robert Mericle. He plowed ahead and developed 15 buildings on speculation in Northeastern Pennsylvania including nine in CenterPoint Commerce & Trade Park. The nine buildings total almost 1.5 million square feet. Almost 100% of that space is occupied. In 2012, Mericle launched his ReadyToGo!TM Program, an initiative to fully prepare more than 90 parcels in 15 Northeastern Pennsylvania business parks and then construct speculative buildings on those sites based upon market demand. For its ReadyToGo! TM Sites, Mericle Construction, Inc., obtains all permits and full subdivision, land development, and utility approvals. In most cases, all grading, including the placement of compacted stone sub-base in the building and pavement areas is completed, and the parcels are made completely ready for the immediate construction of building foundations. Mericle’s ReadyToGo! TM Sites range from 1.15 acres to 127 acres and can accommodate companies needing buildings from 5,000 square feet to more than one million square feet. Mericle is finding the sites and spec buildings to be attractive to manufacturers, distributors, medical professionals, and a variety of office and business services firms. Commercial real estate brokers view the ReadyToGo! TM Program in a very positive light. 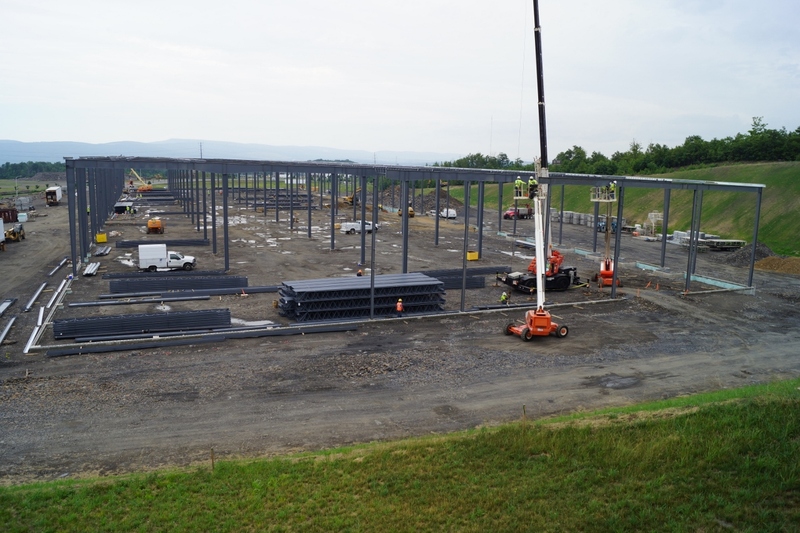 Bill Wolf, executive vice president of CB Richard Ellis in Allentown, has been the lead real estate broker for several major projects that landed in Northeastern Pennsylvania. He worked with Mericle to locate The Home Depot’s 465,600 square foot regional distribution center in CenterPoint Commerce & Trade Park. Mericle constructed the building to The Home Depot’s exact specifications. Jeff Williams, now senior vice president of CRESA Philadelphia’s Conshohocken office, represented J.P. Boden and Amazon.com during their searches for new locations in the region. Mericle constructed a new building for Boden in CenterPoint Commerce & Trade Park and expanded an existing spec building in Humboldt Industrial Park near Hazleton for Amazon.com. Through mid-2014, Mericle had completed work on 37 of the more than 90 sites. Thirty ReadyToGo! TM Sites have been completed in CenterPoint Commerce & Trade Park. 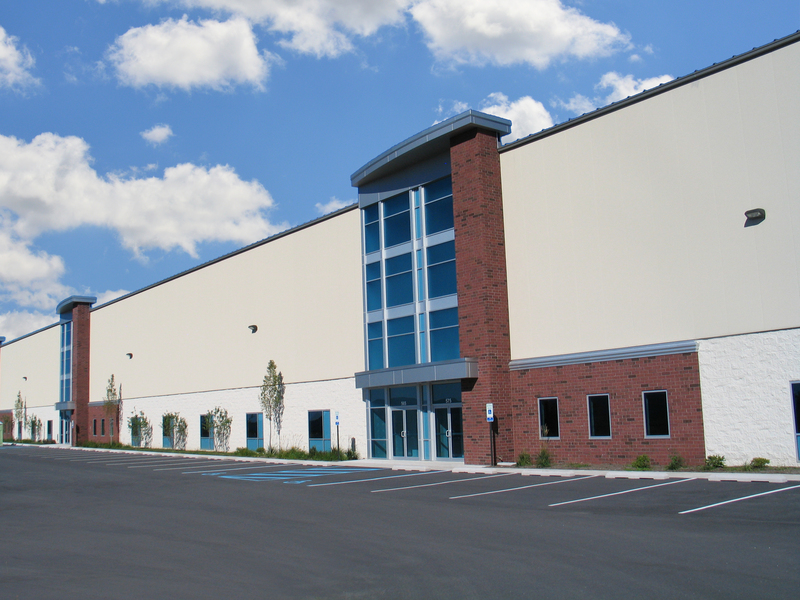 In 2013, Mericle constructed two spec buildings in the park and landed office companies Maximus and C3i, Austrian manufacturer Greiner Packaging, and indoor trampoline park company SkyZone. Together, the four companies are creating more than 1,000 jobs. This July, Mericle began constructing a 134,400 square foot speculative flex building in the park and this fall, will break ground on a 22,600 square foot office building. Robert Mericle plans to construct more than 15 million square feet of industrial, office, and flex space on his ReadyToGo! TM Sites. He used historical occupancy and vacancy data for the company since 1985 and estimated that between 10,500 and 13,500 people will work in those yet to be constructed buildings.